Similar to Louis Vuitton’s collaboration with Japanese otaku/poku (pop+otaku) artist 村上 隆 (Takashi Murakami) back in 2003, it is now time for another Japanese collaboration with one of my favorite artists, 草間 弥生 (Yayoi Kusama). Kusama was born in 1929 in Matsumoto, Japan. 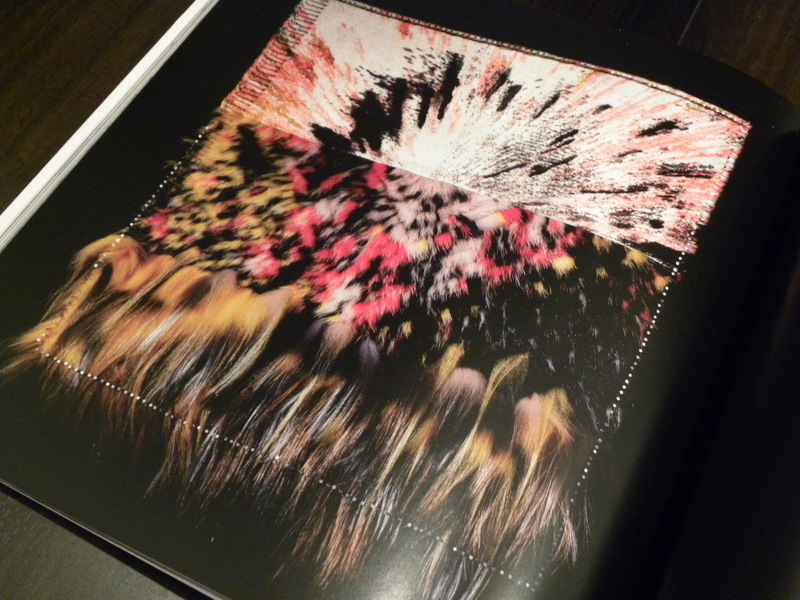 Just like Takashi Murakami, she started out in nihonga, Japanese style painting. 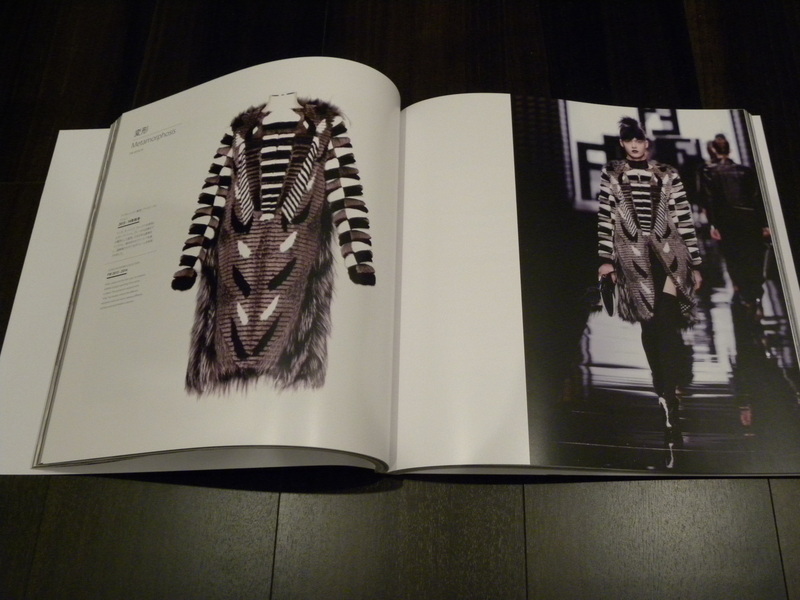 She became frustrated with the strict Japanese style and prefered to experiment with American and European avant-garde. This lead her to venture out and move to New York in 1957, where she continued to work with pattern, repitition and the psychedelic colors that she’s so well known for. Much like other greats as Andy Warhol and Claes Oldenburg, Kusama was a precursor of the pop art movement. 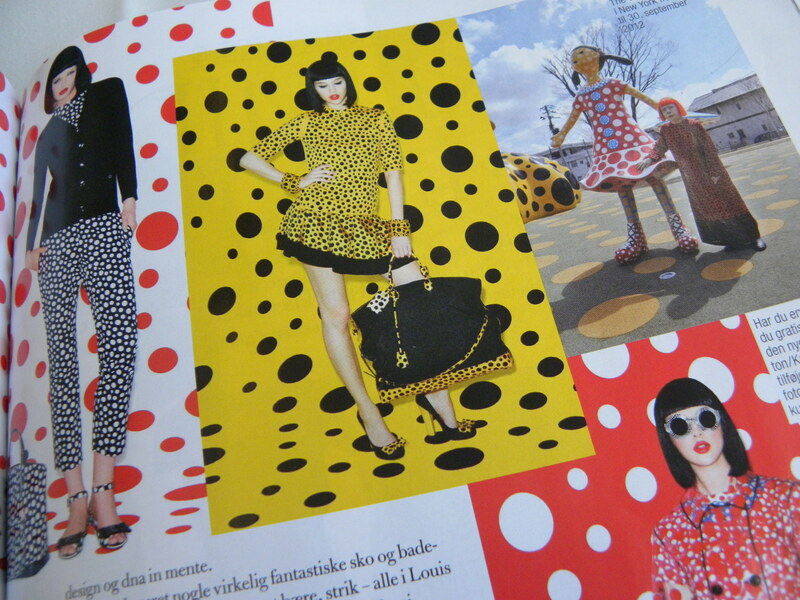 Lady bug meets Minnie Mouse with the brightly colored prints in yellow and red polka dots as seen in Denmark’s July issue no.123 of Costume magazine. 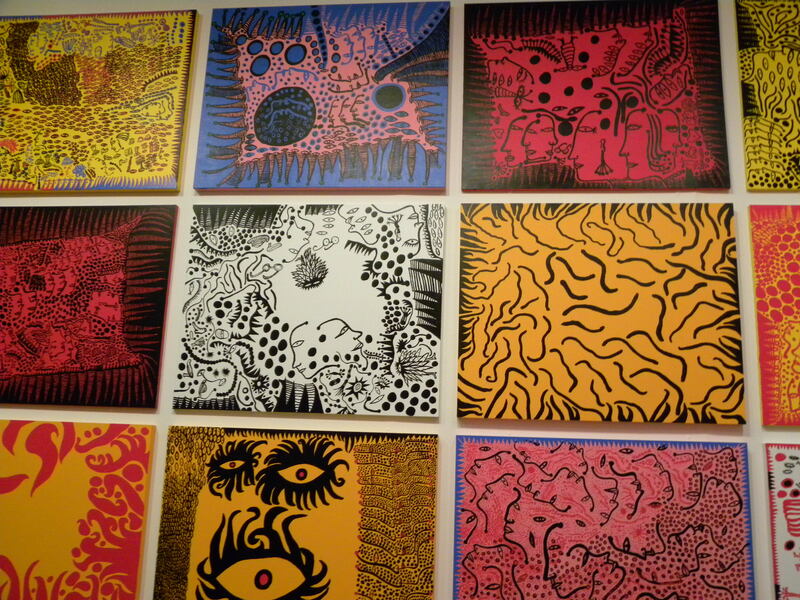 I fell for Kusama’s fabulous work after seeing her exhibition Kusamatrix at Tokyo’s Mori Art Museum in 2004. 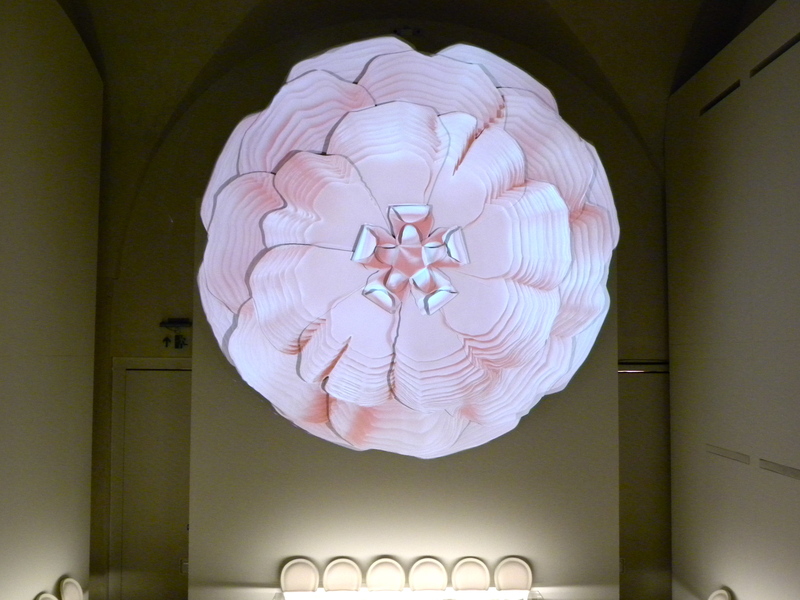 Everything featured was designed especially for the museum and showed a series of environmental installations, developed out of her auditory hallucinations, dot and net filled visual fantasies. Needless to say, I was mesmerized. Then, a leap in time and Britain’s Tate Modern, supported by Louis Vuitton, hosted an exhibition of Yayoi Kusama’s work that ran from February 9th – June 5 2012. 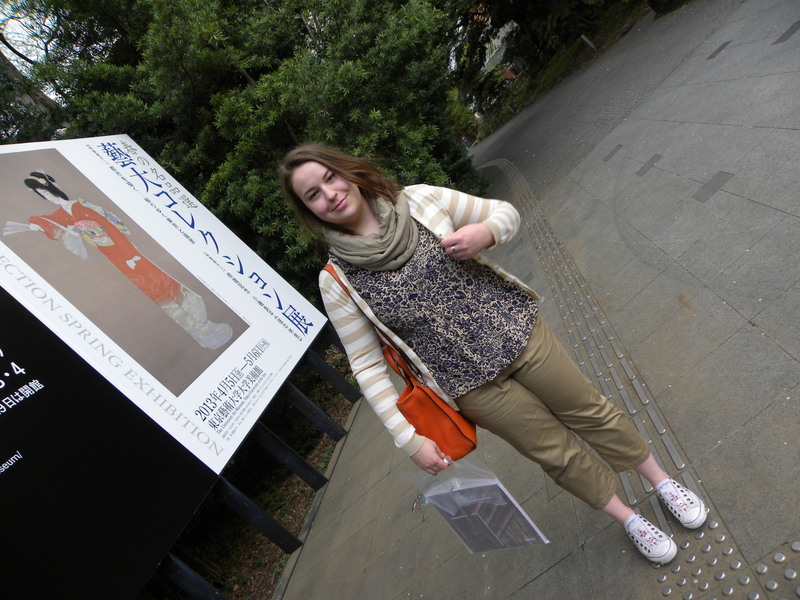 The exhibition showed a range of Kusama’s work, which included a variety of media such as drawings, paintings, film, and installations. 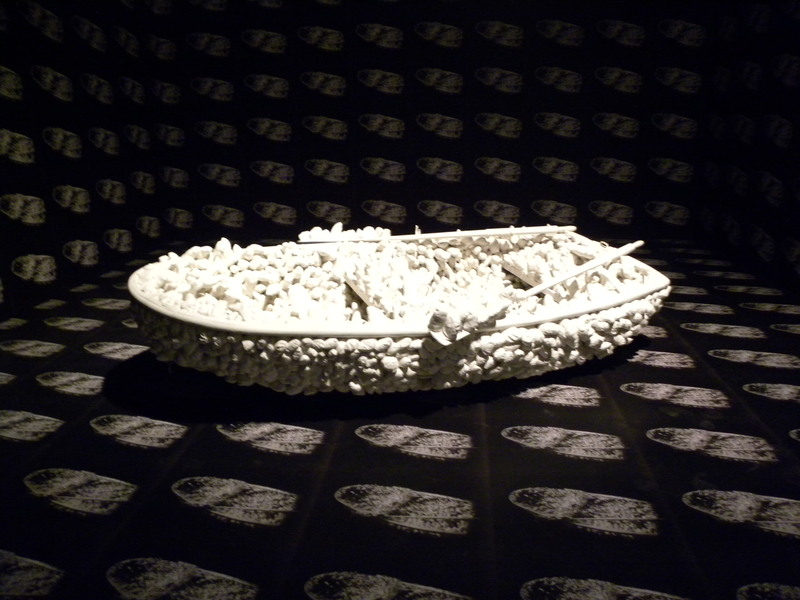 There was a large emphasis on her work with penises, showing an obsessive atmosphere that hints at a desire to escape from her own psychological trauma. Personally, I prefer her colorful and fun polka dot installations and sculptures. They never seize to amuse, entertain, and make me smile. Will you be picking up your own Louis Vuitton, Kusama accessories? What do you think, fabulous or faux pas? 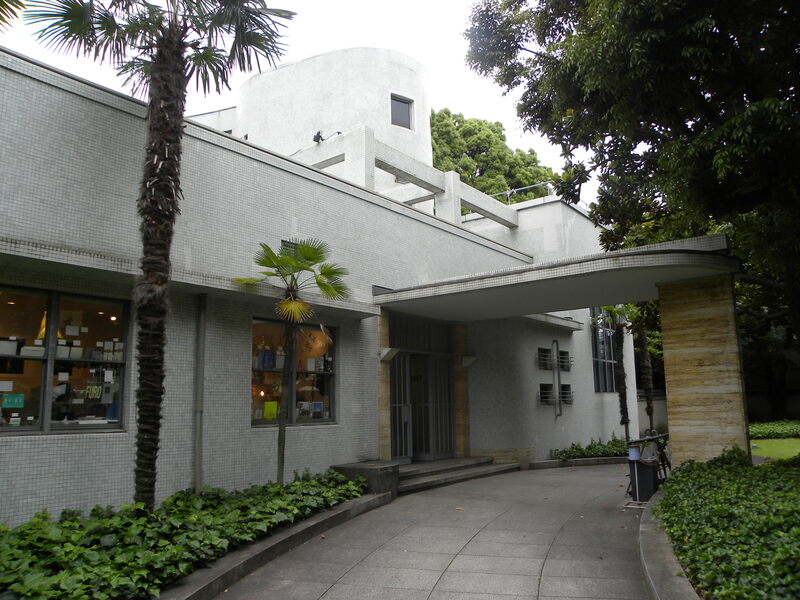 Stopped by the ultra cool Hara Museum of Contemporary Art which was originally built as a private home in 1938. I’m thinking of old Hollywood when I see the architecture with the long stylish driveway lined with tropical palm trees. It wasn’t until 1979 that the home was converted into the museum that we see today. It’s had a bit of a face lift with a major renovation in 2008 but otherwise I imagine it very original. 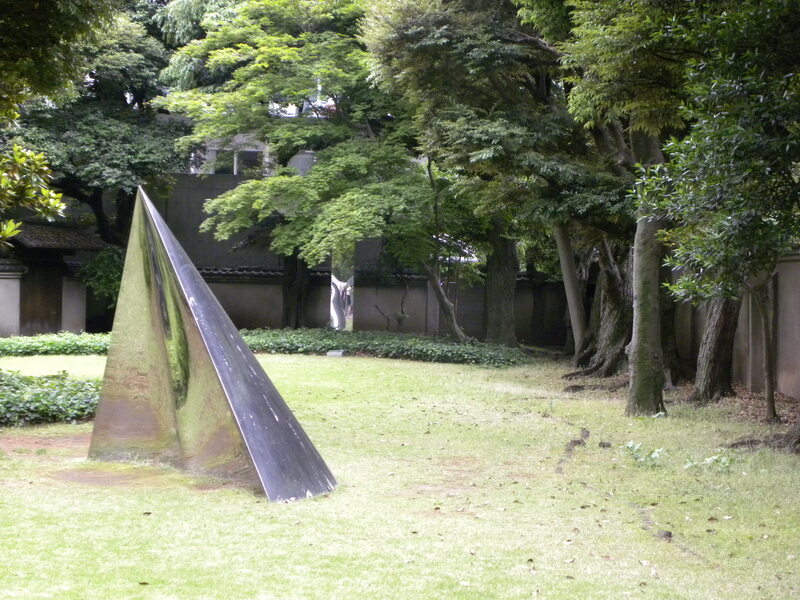 Interesting sculptures decorate both the inside and outside of the stylish property. It’s a lovely atmosphere and the art decorated house looks ready to live in with the addition of a few select furnishings like a sofa and a fluffy rug. Voilà, I’m ready to move in! Maybe in a different setting though, with lovely summery sunshine and a view overlooking the ocean. Perfect! 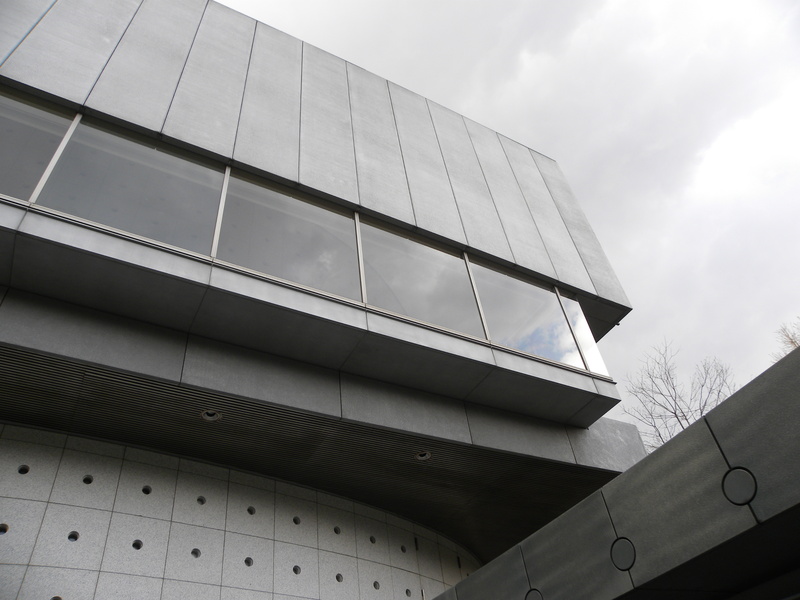 The main reason for my visit other than general curiosity of exploring Hara was to see Hiroshi Sugimoto’s exhibition From Naked to Clothed. 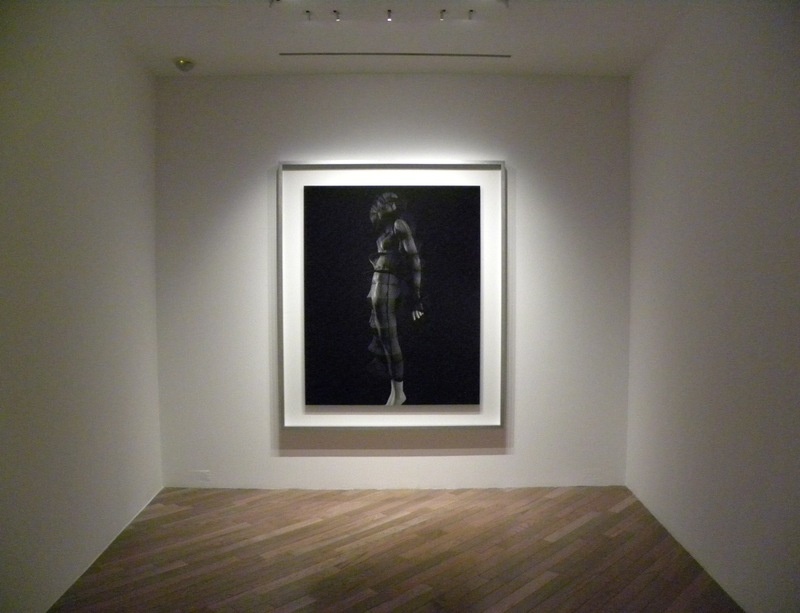 Sponsored by Dom Pérignon, Hiroshi Sugimoto’s exhibition of photographs aims to explore the history of the human race through the history of clothing. The intense gelatin silver prints show iconic garments from some of the worlds most prestigious fashion designers including Cristobal Balenciaga, Yves Saint-Laurent, Gabrielle “Coco” Chanel, Madeleine Vionnet, Elsa Schiaparelli, John Galliano, Yohji Yamamoto, Issey Miyake, Rei Kawakubo, and more. 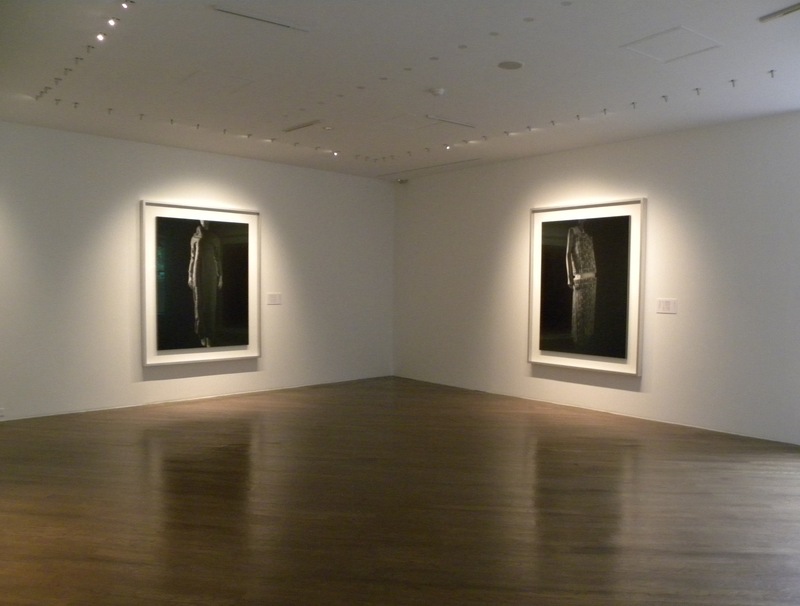 From left to right: Stylized Sculpture 020 [Rei Kawakubo 1994] 2007, gelatin silver print, 149.2 x 119.4 cm, Stylized Sculpture 064 [Rei Kawakubo 1998] ” “. “The history of human clothing is as old as the history of the human race itself”. Based on this perspective, this exhibition poses the question: What meaning does being clothed have for humans? Personally, I think that the answer to this question will vary from person to person as clothes can be very individual and intimate while others see no need for them. Perhaps this question will remain an enigma. 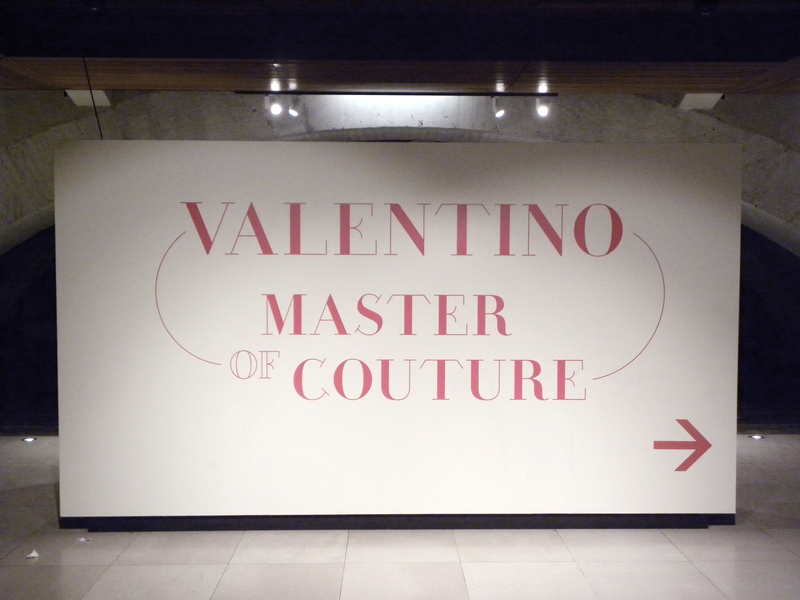 A must see exhibition regardless! Très chic! 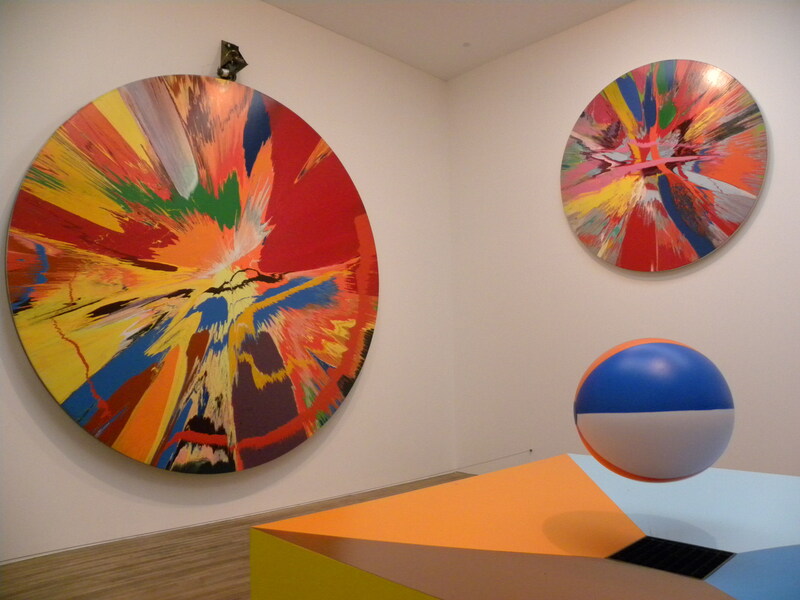 Simple, is the first word that comes to mind when checking out the Damien Hirst exhibition at the Tate Modern. 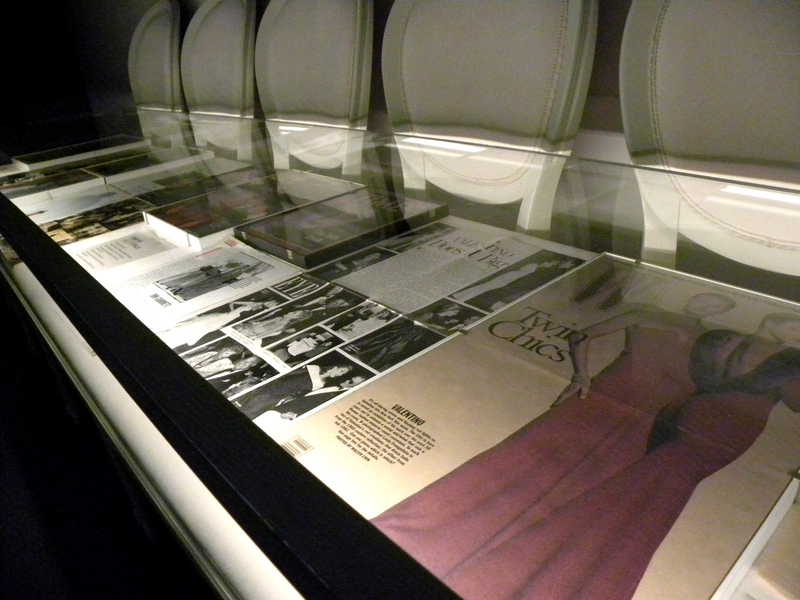 Featuring a selection of artworks following the development of his career and some of his most iconic works, the exhibition felt a little dispersed and incoherent. It also featured concepts simple enough for a very broad audience to grasp. Unlike the Johan Zoffany exhibition that I saw at the Royal Academy of Art, the Hirst exhibition seemed to lack the same technical triumphs which I witnessed on numerous canvases by Zoffany. 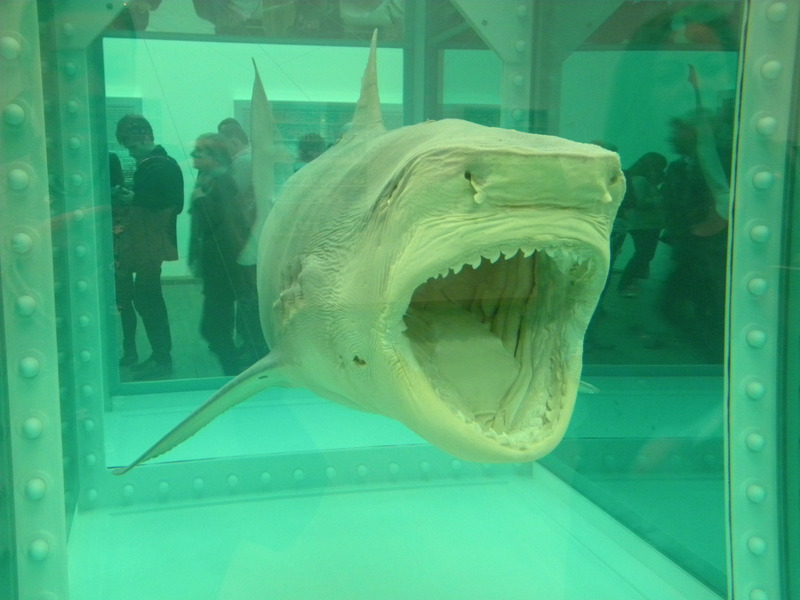 The Hirst exhibition really brought to light the inevitable question ‘what is art’ and ‘what should/could be considered as art’. “I need a doctor, call me a doctor” as Eleven/Amy’s song goes! 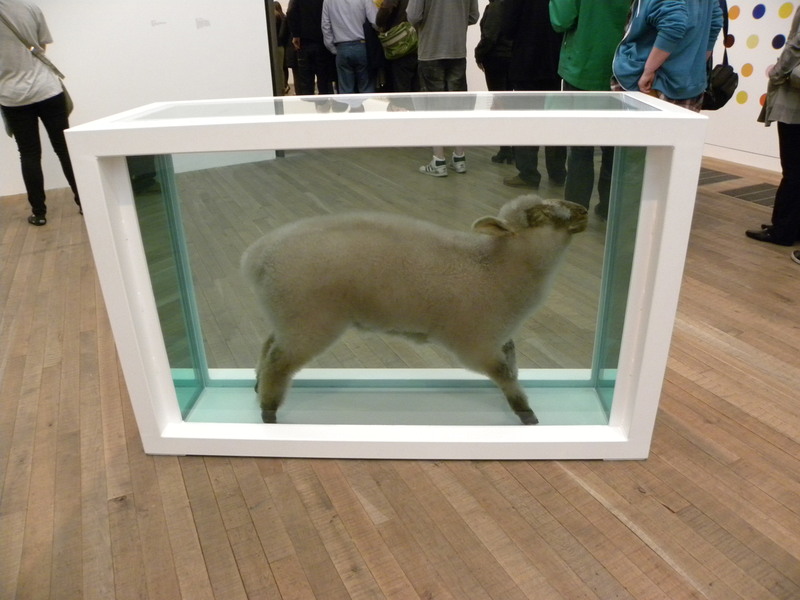 That certainly couldn’t have been more relevant than after coming face to face with a severed pig’s head with blood and mosquitoes circling, farm animals sliced in half with their insides on display and all in the name of art. To be completely honest, I was absolutely nauseated throughout the entire show as the scent radiating from another “artwork”, (a giant ashtray filled with burnt cigarette buds) forced me to rush through the show in just a few short breaths. A challenge, had you been there and seen the never ending queues of people. I understand that the desire to push boundaries in art can lead to some rather questionable choices but is this really the route? How about we leave taxidermy and preserving animals and organs in their own category as those interested can simply take a trip to the Royal College of Surgeons and check out the Hunterian Museum. 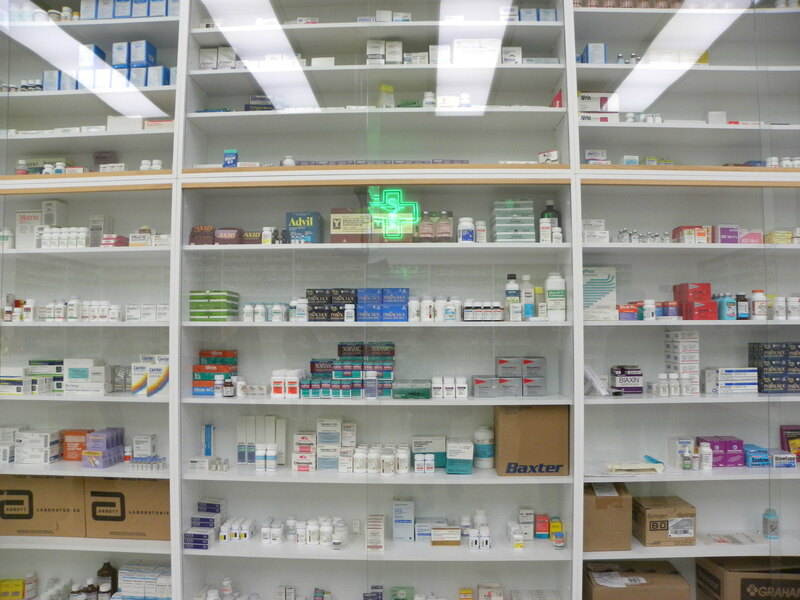 Hoarders, well I assume nearly every family has at least one so just pay them a visit and save yourself the effort of seeing walls after walls filled with pills and pharmaceutical products! Darlings, I hope you’ve had an as wonderful day as me. As sad as I am to say bon voyage to Paris, I’ve now returned to London. Wasting no time in getting my art on, I sought out the lovely Johan Zoffany exhibition Society Observed at the Royal Academy of Art. Conclusion: j’adore! It’s an absolute must see and the pictures I took hardly do the paintings justice. To see the meticulously depicted details of the best dressed people in society wearing their finest garments of silks, lace, and embroidery was very inspiring. Reow, the sheer skill behind the vast collections of paintings on display, combined with the motifs and curation of the exhibition made it one of the best that I’ve seen here in London yet. Triumph! 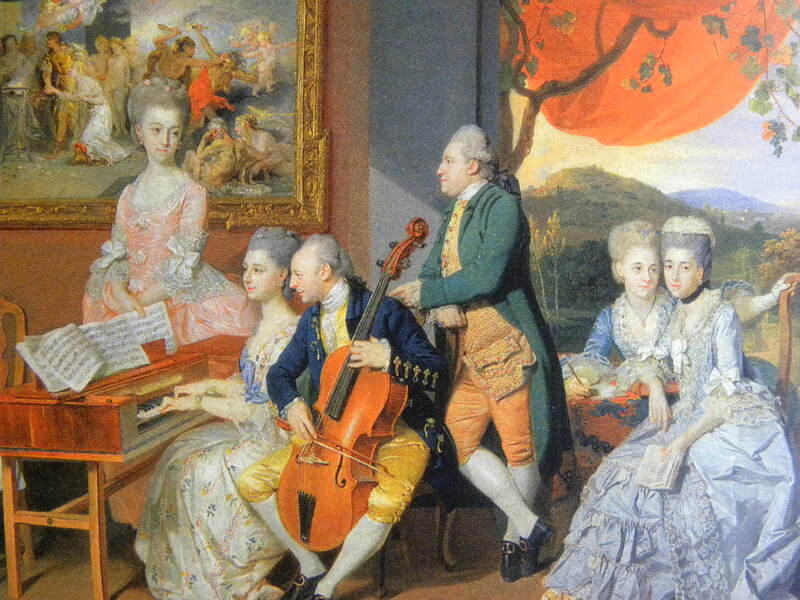 Is it wrong to wish that I possessed most of Zoffany’s paintings in my own private collection? True, it may seem greedy but I hardly want to compromise. 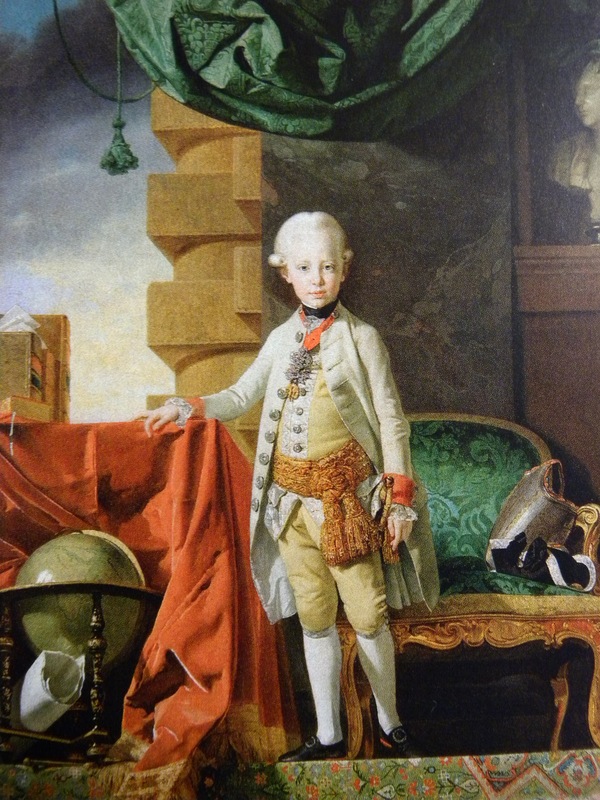 I’m also ready to commission or make my own attempt at a self portrait wearing a powdered wig and fabulous frock. A dream come true. 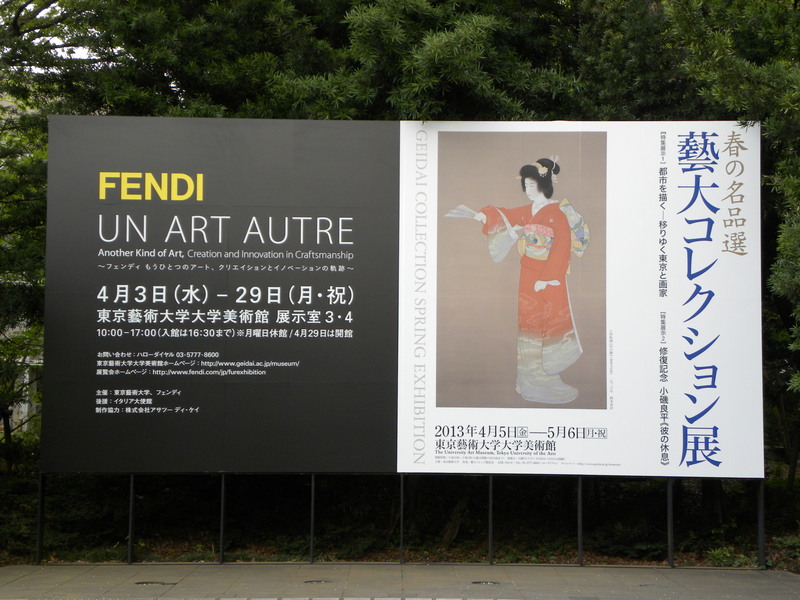 This exhibition really made me miss painting! Spent the entire day at the vast Palazzo Pitti. Within the large complex are several galleries such as the Royal Apartments, Gallery of Modern Art, Costume Gallery, Silver Museum, Porcelain Museum, Palatine Gallery, and the Carriages Museum. An entire day barely does the place justice. 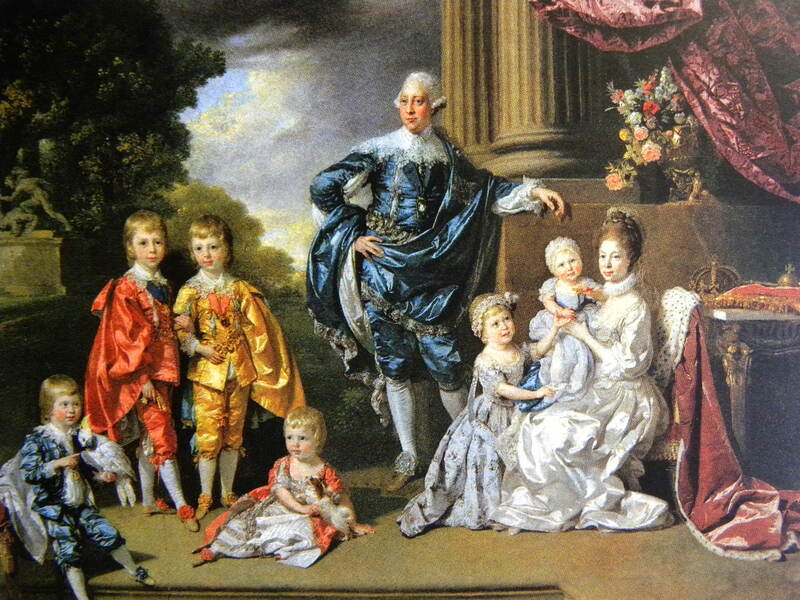 I am absolutely in love with the scadalous and notoriously rich Italian Medici family! They are the ones who built the incredible palace way back in 1457. It can be rather exhausting being out and about as these two darlings clearly felt. The Boboli Gardens was amazing, consisting of box hedges clipped into symmetrical geometric patterns and gorgeous large marble statues. The Boboli Gardens offered a great view of the city! Reow, my fascination for large chandeliers never seizes. This one was snapped inside the Royal Apartment. 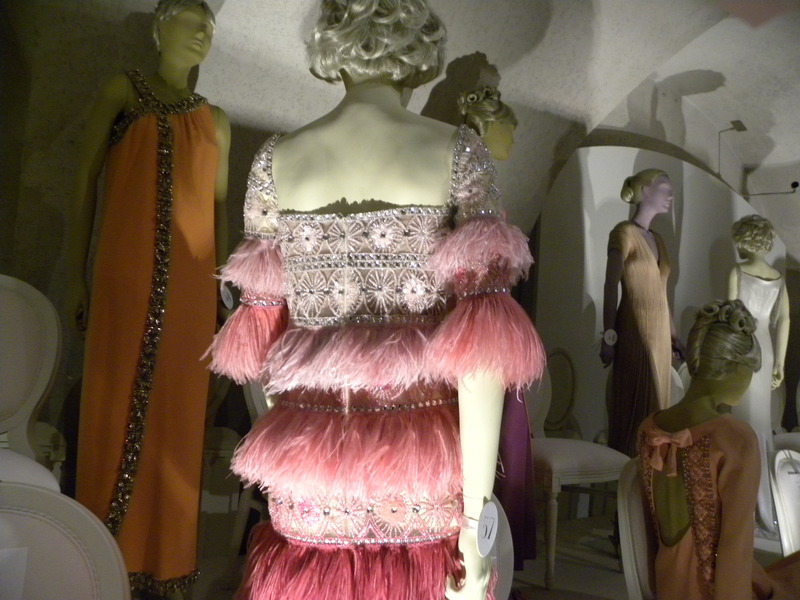 Galleria Del Costume (Costume Gallery), the exhibition reflects the changing tastes in the courtly fashion of the late 18th century up to the 1920s.